At an abandoned motel on a desolate American road, a mother meets with a cult deprogrammer, believing she will be reunited with her runaway daughter. On Clover Road features Joseph Jefferson Award winners and American Blues Theater Ensemble members Gwendolyn Whiteside and Philip Earl Johnson. "...Dietz�s play ultimately feels more like a well-done homage to a familiar narrative form than a wholly original point of view. (At points, I was reminded of the 2011 film �Martha Marcy May Marlene,� about a young girl who has left a cult but still suffers from the conditioning she received.) But Kays� production provides an absorbing, stylish and sometimes insightful snapshot of how easy it is for charlatans to ensnare those who fall by the wayside as they seek a lonely road to freedom and self-knowledge." "...Are you a thriller buff? If you do, have I got a show for you! The title of the show is �On Clover Road�, written by Steven Dietz, who after seeing this piece, I will seek out to read and see more of his works. This is one of those plays were I must hold back on the story so I will not ruin the surprises that are contained within it. The basic story is about a woman, Kate Hunter ( Gwendolyn Whiteside is as always powerful and wonderful in this exhausting role), who is trying to get her daughter back from the cult where she is living. For years, she has tried to get assistance from the police and agencies who say that since the daughter left on her own, they can do nothing." "...It�s said that a thriller offers audiences a unique form of escapism. Theatergoers experience a catharsis in watching others face danger and escape from it. The ability to frighten and manipulate the theatergoer isn�t always easy to achieve. However, director Halena Kays has managed to accomplish this, in spades. She�s helped her talented ensemble develop a cast of multi-layered characters, both sympathetic and repugnant, and to create a drama of relenting suspense. Guaranteed to quicken pulses and keep audiences on the edge of their seats, this is not a play for the feint of heart. It may, as it did opening night, provoke some patrons to cry out in response, and it most certainly will inspire a few nightmares. American Blues Theater has a hit of heart-stopping horror on its hands." "...This is a play that will keep you on the edge of your seat no matter who you are. If you have any children, though, and especially if you�ve managed to get to the teen years, you�ll be tremendously affected by Kate�s plight. I stare at that picture of my own daughter, and I try to imagine the living death of losing her by her own choice, and it�s terrifying. On Clover Road is one hell of a thrill ride, taking you places you never really want to go. But that�s the whole point of thrill rides, right? We use them to face fear in a safe manner. As FDR said, we have nothing to fear but fear itself; sometimes, though, that can be enough." "...There�s surprises and intrigue around every turn with heightened emotions so we�re never sure what�s coming next. 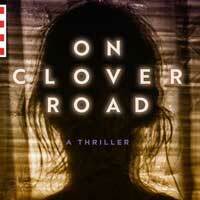 ON CLOVER ROAD might not be the best fit for someone who is looking for a more straightforward plotline. But if you love thrillers, twists, and uncertainty this show would be a good fit for you." "...To me, it was clear that the team at American Blues Theatre are passionate about this project. This is shown in their abundance of town halls and post-show discussions, but also in their very detailed and researched backstage guide. Ultimately, On Clover Road has many ah-ha lines about motherhood, raising teenagers, the manipulation of men, and about what truth is. One line that really stuck with me was �Children are not made of rubber, but glass � they shatter�, this is often true. We as adults carry the scars and bruises of our adolescence; they shape who we become. But if you want to know the other prophetic lines in the show you will just have to see it. No thriller, especially not one that works like this, should be spoiled."